Although somewhat late to the subcompact-crossover party, at least Hyundai showed up with a nice present: the 2018 Kona, introduced earlier this year. Our first exposure to the Kona came recently in Detroit, perhaps one of the few major cities in this country with roads as bad as ours here in Chicago. That’s notable because our preview drives usually take place in areas with smoother pavement, making it tough to judge ride quality. Not a problem in this case. But first, a little about the vehicle itself. At 164 inches stem to stern, Kona sits at the short end of the subcompact-crossover spectrum; in fact, with the demise of the stubby Nissan Juke and growth of the recently redesigned Mini Countryman, the only vehicle shorter is the equally new Ford EcoSport (at 161.3 inches). Kona is offered in four trim levels, all available with either front-wheel drive or all-wheel drive, the latter adding $1300 to the prices noted below. The lower two trim levels – SE and SEL – are powered by a 147-horsepower 2.0-liter four mated to a 6-speed automatic transmission, while the Limited and Ultimate get a 175-horsepower 1.6-liter turbo linked to a 7-speed automated-manual transmission that functions much like a traditional automatic. Standard on the $20,450 (including $950 destination) front-drive SE are all the expected items plus Apple CarPlay/Android Auto compatibility, a rearview camera with dynamic guidelines, and a tire-pressure monitor with individual readouts – a really nice feature in our book. 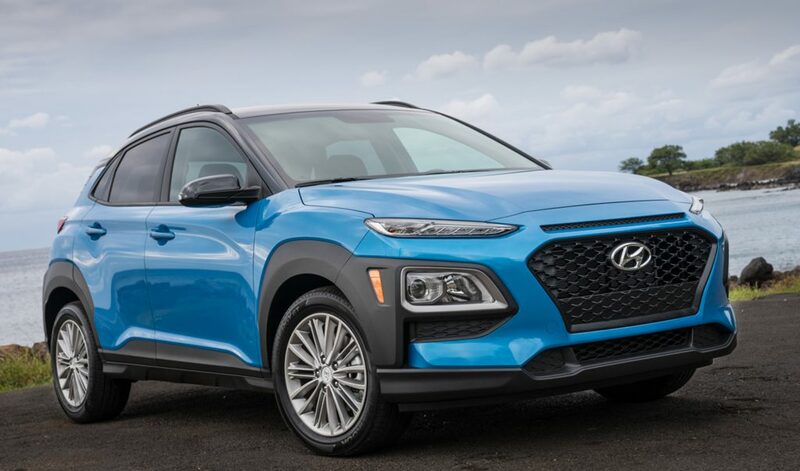 Note that Hyundai has already let it out that the 2019 Kona – due out later this year – will add forward collision warning, lane-keep assist, and Driver Attention Warning (which sends out a warning if steering-wheel sensors detect that the driver is drowsy) as standard equipment, though likely with some price increase. Getting those items currently requires adding the $1500 Tech Package (which also includes a sunroof and 8-way power driver seat with lumbar adjustment) to the $22,100 SEL, which brings 17-inch wheels (vs. 16s), blind-spot and rear-cross-traffic alert, keyless access and starting, satellite radio, heated front seats, and side roof rails. As all those features — including those in the Tech Package — are highly desirable, that brings the price of a very nicely equipped front-drive SEL to $23,600, an all-wheel-drive version to $24,900. While the base SE and “step-up” SEL come with a 2.0-liter 4-cylinder engine, the Limited and Ultimate (shown) get a potent-for-the-class 175-horsepower 1.6-liter turbo along with 18-inch alloy wheels for a decidedly sporting flair. Moving to the $25,650 Limited gets you the turbocharged engine, 18-inch alloy wheels, sunroof, LED headlights and taillights, leather upholstery, 8-way power driver seat with lumbar adjustment, automatic climate control, and auto-dimming inside mirror. 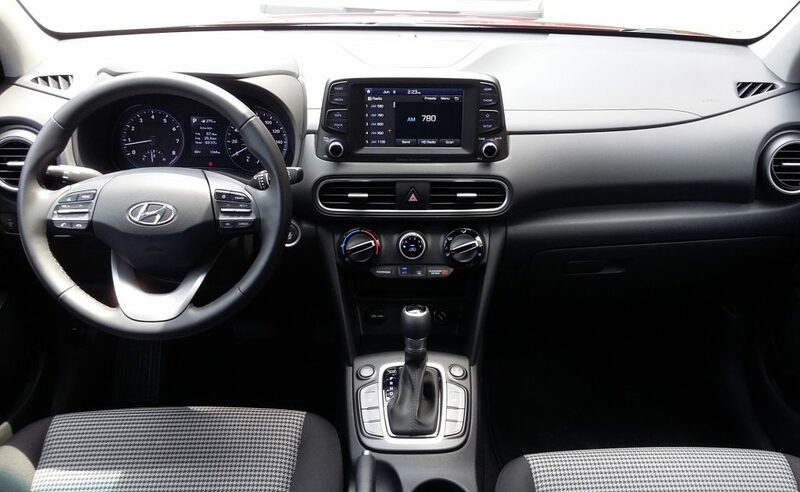 But to get the SEL Tech Package’s safety features (forward collision warning and mitigation, lane-keep assist, and Driver Attention Warning), you have to jump to the $28,350 Ultimate, which adds those plus rear obstacle detection, automatic high beams, rain-sensing wipers, Hyundai’s Blue Link telematics system, Infinity-brand audio system with navigation, a head-up display, and Qi wireless charging — many being high-end features many rivals don’t offer. Oddly missing from the usual offerings, however, is adaptive cruise control. It was mentioned earlier that our preview drive took place in the Detroit area. Over those rough roads, the Kona absorbed bumps quite well, though with “hopping” over larger ones that’s the norm with such light, short-wheelbase vehicles. Turning diameter is a tight-for-the-class 34.8 feet, which in combination with the Kona’s short length, should make for great maneuverability. In an SEL with the 2.0-liter engine, full-throttle take-offs were closer to “move offs,” but speed built quickly enough, and the 6-speed automatic kicked down quickly for decent passing response. All in all, this powertrain is fine in normal driving, and might even be on the stronger side for the class. Definitely on the stronger side was the Ultimate with the 1.6-liter turbo. Though it likewise was no ball of fire in a full-throttle launch, power came on quite strongly not far off the line. 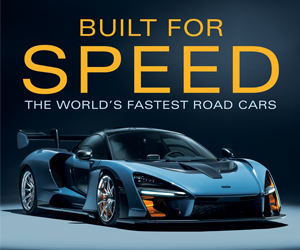 However, the 7-speed automated manual transmission seemed a bit reluctant to kick down when dipping into the throttle from speed, but once it did, those 175 horses broke into a gallop. It’s worth noting that the turbo engine makes the Kona one of the most powerful dogs in the subcompact-crossover class, and we hope to time it in local tests to see whether its bite is as strong as its bark. Despite all the hard-plastic surfaces, the Kona’s interior avoids looking “cheap.” There’s a useful amount of storage space, and the control layout is impressively easy to use. Step inside the Kona and you’ll be greeted with lots of hard plastic. The SEL had padding only on the center armrest, with the Ultimate adding swatches of padded surface across its dash face and on the door armrests. Yet it doesn’t look cheap inside, and a black/grey two-tone color scheme is available to brightens things up a bit, as does available contrast-color piping on the all-black interior. For such a small vehicle, there’s impressive passenger space. Front headroom and legroom should be sufficient even for taller folks, and shorter folks will appreciate that the driver seat — in both manual and power form — can be raised very high. In back, there’s plenty of adult room behind a normal-size driver, and only when a front seat was pegged all the way back — and they go really far back — did my 5’9 frame run out of legroom. Headroom should be fine even for 6-footers. Visibility is good to the front, fair to the sides and rear corners, the latter aided by the standard rearview camera when backing. Per Hyundai tradition, both the audio and climate controls are easy to adjust and reach. Not only is it fairly sizable for the class, but the Kona’s cargo area benefits from being quite tall, having rear seat backs that fold flush with the cargo floor, and having a lot of hidden storage beneath the floor. Interior storage isn’t vast, but what’s there is quite useful. 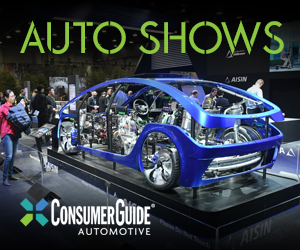 There’s a large glovebox, modest-size console box, two cupholders, a large forward-console bin under Aux/USB/two 12-volt sockets, and small map pockets with cupholders in the doors. Same for cargo space in back. 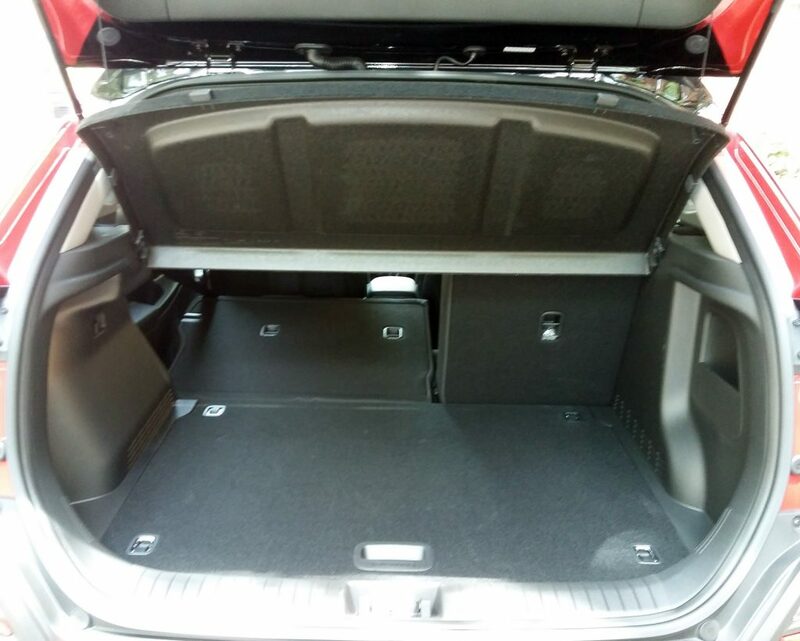 The area is quite tall if not particularly wide, the rear seat backs fold flush with the cargo floor, and there’s a large, flat, hidden storage area beneath the floor. One advantage of being a late arrival is that you can see what others have already brought to the party — and for how much. And few rivals offer the combination of high-end features and high-horsepower turbo engine that’s available in the Kona, with the fact that they’re all in a darn good vehicle just being icing on the cake. 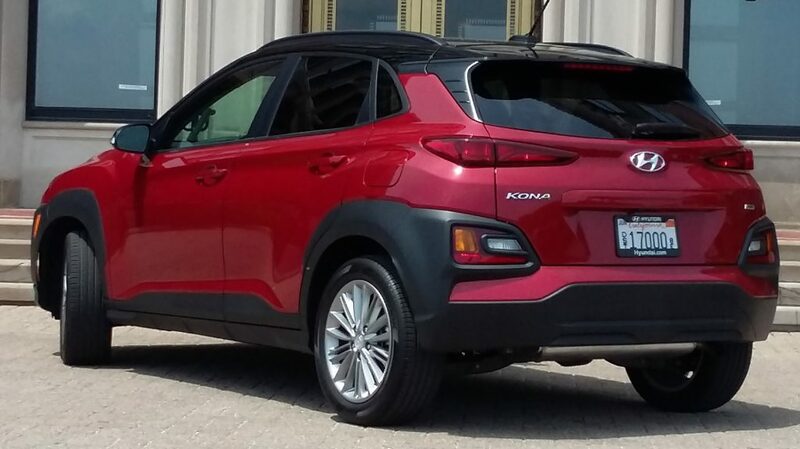 Although it’s one of the smallest vehicles in the subcompact-crossover class, the new Kona offers fine passenger and cargo room along with lots of available high-end features and a powerful available engine, all at very reasonable prices. Written by: Rick Cotta on June 18, 2018.on March 22, 2019.